ElectroForce 3500 test instruments are available in three base system configurations. The 3510 instrument, rated at 7.5 kN, is configured with the linear motor installed in the upper crosshead, making it well-suited for applications requiring a temperature-controlled bath. The 3520 instrument is rated at 7.5 kN, and the linear motor is installed in the lower baseplate. The 3550 instrument is a higher-force configuration rated at 15 kN. Optional 49 Nm or 70 Nm torsional motor is available for multi-axial test applications. Excellent control from below 10N loads to 15kN, providing versatility for a variety of tests. The ElectroForce 3510 test instrument features a 7.5 kN dynamic force capability and includes a 50 mm HADS (High Accuracy Displacement Sensor). It can be equipped with an optional 49 Nm or 70 Nm torsion motors and other accessories including an oven or saline bath for testing in various environments. 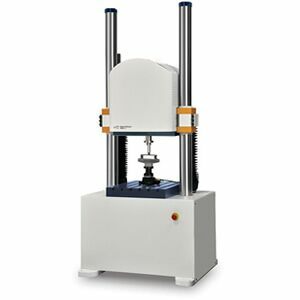 The ElectroForce 3520 test instrument features a 7.5 kN dynamic force capability, and can be equipped with an optional torsion motor and other accessories. 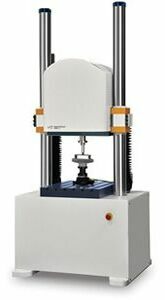 The ElectroForce 3550 test instrument features a 22N to 15kN dynamic force capability, and can be equipped with an optional torsion motor and other accessories.